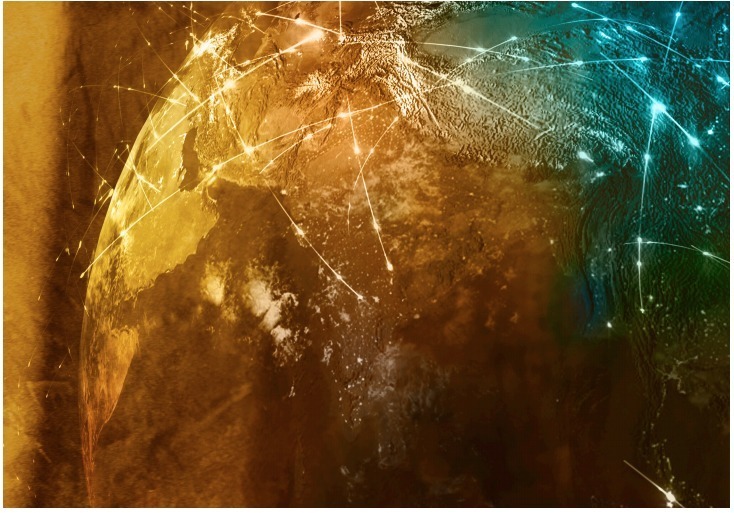 Globalization 4.0: Shaping a New Global Architecture in the Age of the Fourth Industrial Revolution – which was explained in a recent opinion piece and Foreign Affairs article authored by the Forum’s Founder and Executive Chairman, Klaus Schwab. 1 The essential thesis is that major shifts underway in technology, geopolitics, environment and society are combining to give birth to a new phase of globalization – Globalization 4.0 – whose trajectory will depend in large measure on how well governance at multiple levels – governmental, corporate and international – adapts to these changes. Strengthening our governance architecture to ensure its effectiveness in this new era will require deeper engagement and heightened imagination by all stakeholders, beginning with robust and sustained dialogue among them. This white paper is intended to help concretize such a call for engagement and place it in a systemic context. The introductory section describes how the interplay of technological progress, business strategy and international economic policy shaped previous phases of globalization and has begun to do so again. It highlights the crucial role the multilateral system has played in human progress and argues for strengthening and anchoring it in a wider geometry of cooperative arrangements and norms. The second section argues that the transformations driving Globalization 4.0 require an “operating system upgrade” for global cooperation and domestic governance and presents a blueprint of eight general design parameters for strengthening and adapting them to this new context. The paper’s third section highlights many existing initiatives and proposals that, with sufficient support, would go a long way towards modernizing our cooperative architecture and policy models in line with these design specifications. This is an actionable roadmap of practical opportunities for governments, companies, civil society institutions and other actors to work together to address many of the most pressing challenges our societies are facing. These ripe opportunities for governance reform and innovation are presented first in three traditional domains of global governance: trade, finance and global public goods, including climate change and the environment; second, in the relatively new areas of technology and cybersecurity governance, which require a stronger international and domestic response; third, in two critical areas of domestic governance and institutional strength, workforce and human capital development as well as corporate governance; and, finally, in the overarching area of geopolitical and geo-economic cooperation. Our aim in publishing this white paper is to encourage everyone to consider more seriously how they and their organizations could contribute concretely to the policy and enabling architecture improvements needed in this new era by engaging in one or more of these worthy initiatives or by bringing others to the table. As the 75th anniversary of the United Nations and Bretton Woods institutions approaches in 2020, the Forum plans to encourage such a global multistakeholder mobilization to strengthen the multilateral system and modernize our governance architecture by facilitating a year-long process of dialogue in cooperation with international organizations and other institutions. The paper has been compiled through consultation with members of a number of World Economic Forum communities, including many of its Global Future Councils, System Initiatives and Centres, as well as several international organizations. It does not aspire to be exhaustive or prescriptive. Nor does it represent an institutional position of the Forum or its members, partners, communities or constituents. Thanks are due to all of those who have made suggestions and contributions, including the heads of many of the Forum’s Centres and System Initiatives, as well as my colleagues Nicholas Davis and Thomas Philbeck. Francisco Gimeno - BC Analyst Globalisation has been a common word for some years now.This new 2019 WEF Report underlines that we are in a different stage with game rules which are evolving, due to social, political and tech changes. What we are going to do with all this data? The document seems to us a good point for reflection.